As your Independent Insurance Agency in Colorado Springs Colorado, we have connections with some of the top rated insurance companies which allows us to find competitive rates and the right coverage for your toys. 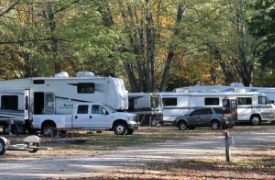 Recreational vehicles provide a lot of enjoyment but also bring with them some unique risk and exposures. We can help protect you. And don't forget, many of your favorite toys have trailers you may also want coverage for. Whether you're a current client and acquired a new toy or you are shopping around for help through a new agency, let us wow you with our insight on protecting your off road activities! Contact us to find out more about recreational vehicle insurance in Colorado Springs, Colorado including the Calhan, Manitou Springs, Peyton, Security/Widefield, and Woodland Park areas.